When you are looking to buy an iconic mid-size SUV, you need to consider 2018 Toyota Tacoma. 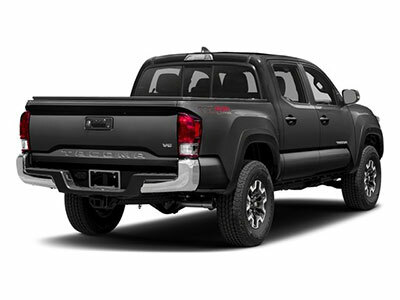 Unlike most competitors that have turned to more sophisticated models, the 2018 Toyota Tacoma features an impressive capability and some rugged equipment. Discover other impressive Toyota SUVs. One of the things that we like about the 2018 Toyota Tacoma is its versatility. In addition, it comes with the most standard active safety features including adaptive cruise control and even automated emergency braking. While the 2018 Toyota Tacoma isn’t as much attractive as its most direct competitors, the truth is that it has its own personality. When you look at the exterior of the 2018 Toyota Tacoma, you immediately identify it with a macho truck. While this isn’t particularly bad, it is not different either. The truth is that the new 2018 Toyota Tacoma exterior is pretty much the same. Nevertheless, it is worth to point out that the fender flares are still oversized as well as the hood and belt lines are higher. Just like the exterior, the interior of the 2018 Toyota Tacoma is pretty much straightforward. The truth is that it comes with an ergonomic design and the traditional horizontal layout. One of the best things about the new 2018 Toyota Tacoma is that it is available in both extended and double cab configurations. In our opinion, Toyota should have included a height adjustable front seat. The truth is that the truck doesn’t include a telescope steering wheel so the driver may have some problems in being comfortable. On the back of the 2018 Toyota Tacoma, the double cab configuration includes more leg and head room than the extended configuration. 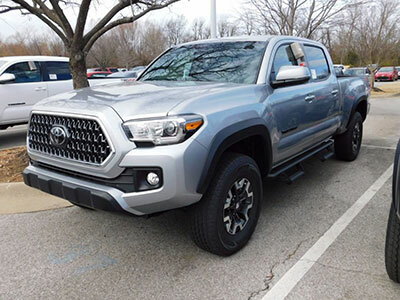 In terms of other features and equipment included on the new 2018 Toyota Tacoma, you can count on automatic high beams, lane departure warnings, adaptive cruise control, automatic emergency braking, rearview camera, among others. With the new 2018 Toyota Tacoma, you have the option to choose between two different engines, two different transmissions, and even two different drivetrains. The base engine of the 2018 Toyota Tacoma is the 2.7-liter inline-4 engine that is capable of producing 159 of horsepower and 180 pounds per feet of torque. It is complemented either with the new 6-speed manual transmission or with the 6-speed automatic transmission. 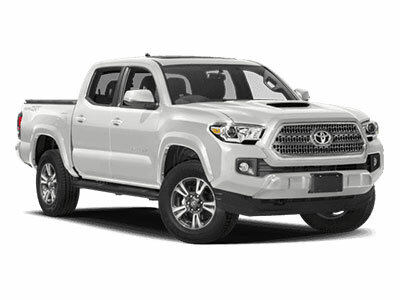 Another engine option that you have for the 2018 Toyota Tacoma is the 3.5-liter V-6 engine that is capable of producing 278 of horsepower and 265 pounds per feet of torque. Just like with the previous engine, you can opt for the 6-speed automatic transmission or for the 6-speed manual transmission. One of the main differences that you will find between the 2018 Tacoma and the previous models is the stiffer structure that is made of high-strength steel. The 2018 Toyota Tacoma includes different trim levels. The base trim, the 2018 Toyota Tacoma SR, has a starting price of $25,200. You still have other 3 trims to choose from: the TRD Sport, the TRD Off-Road, and the TRD Pro.